The epic third part to this epic post-apocalyptic trilogy was a difficult book to read, not least because I had forgotten some of the finer details of the story in the previous two books. 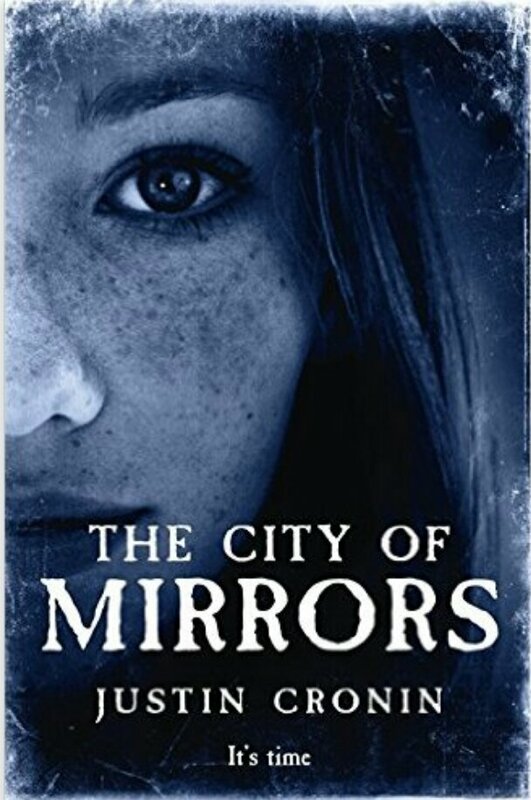 So, after a quick re-read, I found myself mining through The City of Mirrors. This book has probably taken me the longest to read of any book I have reviewed on my blog and yet there was no way to rush reading this final part of the series as I reacquainted myself with the characters and story and learned what happened next after The Twelve finished. Amy transforms and disappeared at the end of the second book and all who assisted her came to different fates, which reshaped what happened to the survivors of the virals. However, Fanning, the zero, has not been dealt with and this is in essence the main plot of the final book, which sees the survivors living in the belief that the virals are gone for good but they haven’t dealt with the most cunning of all, Fanning. The book reveals his nature and his motivations and made quite compelling reading. The story doesn’t quite end when I thought it would and we see a new chapter in the history of what comes a millennia after the virals. I couldn’t think how else the trilogy could have been finished and want to read the book all over again. I read the first one, but just can’t bring myself to go any further. Don’t get me wrong, I REALLY liked the first one, but I’m afraid I’d poop out on the 2nd, let alone the third. I’m not an easy to please serial reader and if I was going to put my I me and imagination in an author’s hands I don’t think I could choose better than Justin Cronin. Despite the fact he annoyed me by keeping us waiting, I have to hand it to him, he can sure write and tell a magnificent story. The best is yet to come if you’ve read The Passage. It’s a thriller. A post-apocalyptic thriller. One where a disaster leases to the end of the world and in this concluding part they think the threat has gone but are caught out. I’ve had a copy of The Passage sitting on my shelf for aaaagggeeesss. I’ve heard really good things about it from almost everyone, except my husband. He and I have really different reading tastes, but since he told me he didn’t enjoy it, I’ve struggled to find the motivation to read it. I should pick it up. i think I would actually really love it. I think you would love it, but starting those books is a huge time commitment as they are so long. Not unnecessarily long as a lot happens in the books but they are time consuming tomes, yet despite this they are great books and dare I say classics of our time. You definitely won’t regret starting The Passage.